Lots going on in St Ives over the coming weeks. St Ives Arts Club - a fundraiser for St Ives Jumbo Association. Wreck and Rescue - an evening of film and storytelling. Saturday 30th January - 7,30 pm. The Castle Inn - live music every weekend. Friday and Saturday nights, Sunday afternoons. Acts include Dirty Living Rhythm Band, Sinpusher, Devils Creek, Tom Dale, Mr T.
The Castle also hold a Fun Pub Quiz - every Monday at 8.30 pm. Creative Textiles with Jo McIntosh. A six week course at The Island Centre. Starting on Thursday 4th February. Each week students will learn a different textile technique. Get creative and have fun learning something new ! Place are still available - so get in touch to book. Jo is also running two events at Barnoon Workshop. Get to Know Your Sewing Machine - Saturday 30th January. Family Knitting Workshop - Friday 19th February. 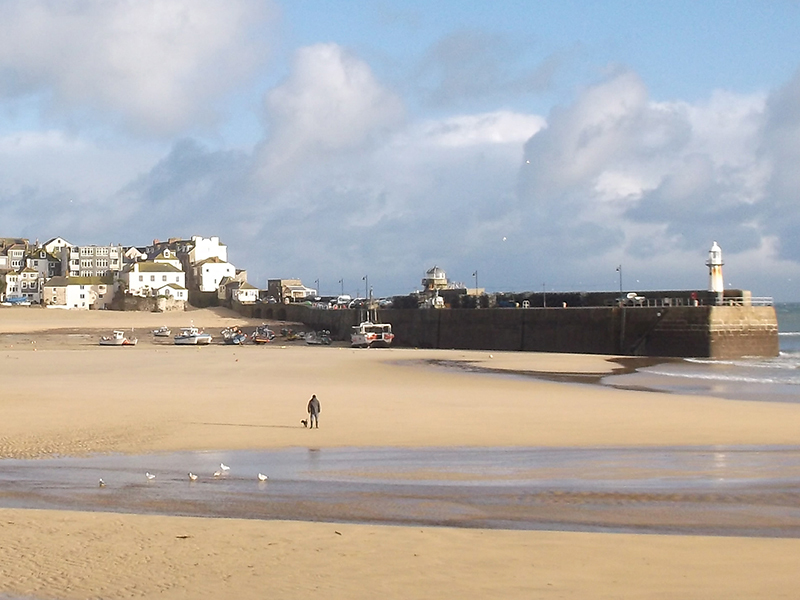 St Ives Feast - will be celebrated Monday 8th February. Hurling of The Silver Ball and other ancient traditions. 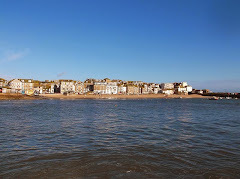 St Ives Craft Group - meets monthly at St Ives Library. In February the topic is Silk Painting. Friday 12th February - 10.00 to 12.00. All welcome - including beginners. Continues every Thursday at St Ives Guildhall. Fresh local produce, crafts, cafe, buskers. Exhibition - Colours of Cornwall. Opens on Sunday 14th February at St Ives Arts Club. Capturing the light in textiles and metalwork.